The perfect recipe for everyone who wants to enjoy the big game. Spray counter lightly with non-stick cooking spray. Combine dinner rolls and roll into a football shape, 17-inches long and 12-inches wide. Place on a sprayed baking pan. Poke several times with a fork to prevent bubbles from forming. Pre-bake at 350 degrees F 10-12 minutes. Allow to cool and then top with sauce and cheese. 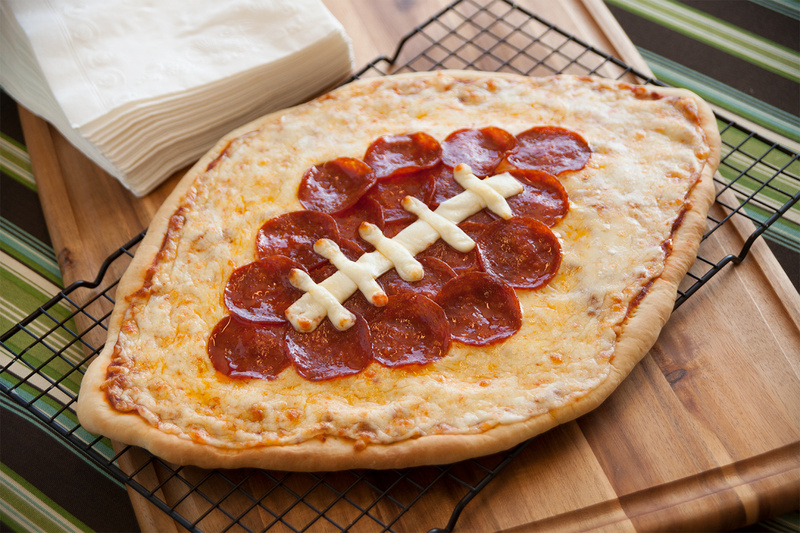 Place pepperoni in the center of the pizza in a smaller football shape. Slice the string cheese lengthwise into fourths to form the laces and arrange on top of the pepperoni. Bake an additional 10-13 minutes.